For people looking for an early Mother’s Day treat for mom or a way to treat themselves, Stanhope United Methodist Church is offering an English Spring Tea on Saturday, May 11th from 1:30 p.m. – 3:30 p.m. Open to everyone, the event is being put on by the “Angels of the Glen”, an outreach group of the church. There is no admission fee; a free will offering will be taken. Funds raised will help the church and possibly another cause. People can come casual or dressy, whichever they prefer. Those planning on attending should RSVP by Thursday, May 9th. The church phone number is 973-347-0247. The church is located at #2 Route 183 in Netcong. Kristin Ransiear, of Andover, is the coordinator of the event. Ransiear noted this is not a “women only” event. Children and men are also welcomed to attend. “Scones, muffins, tea sandwiches, and desserts. It will be a traditional tea,” said Ransiear of the menu. The tea will have three courses. The first course is muffins and scones. The second is the tea sandwiches, and the third course is a dessert buffet. In addition to all types of teas, water will also be available. 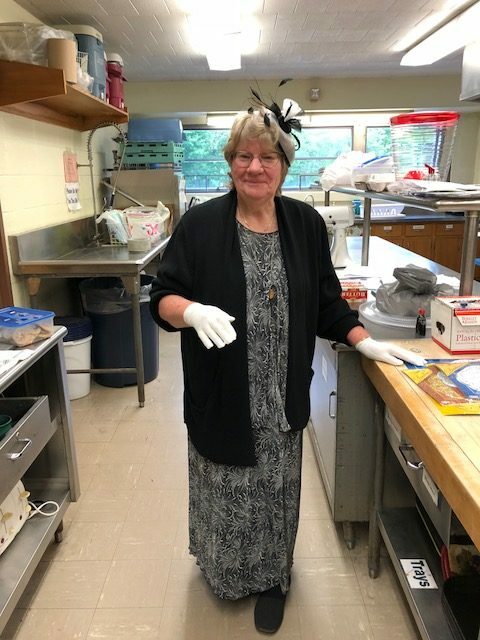 For those who may not know what tea sandwiches are, Angels of the Glen member, Lori Price Sullivan of Sparta, explained, “Tea sandwiches are tiny little finger food sandwiches that you eat in one bite”. She shared the sandwiches are made with ham salad, tuna, watercress, and cucumber. Entertainment at the tea will be in the form of a fashion show. 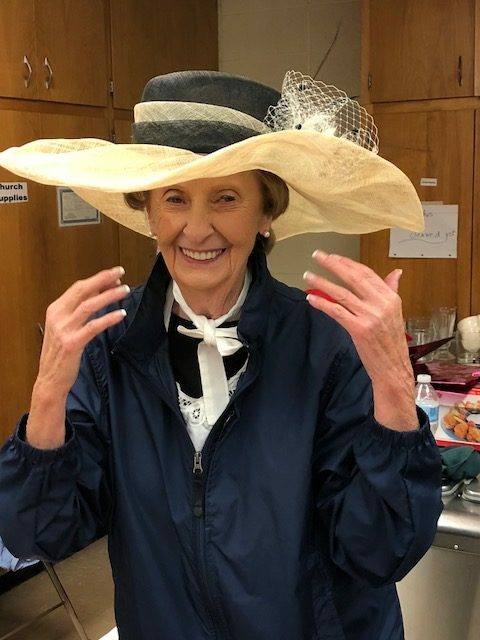 Angels of the Glen member, Lynn Gremmo of Sparta shared that the Rockaway Mall Dress Barn will present a fashion show of casual, work attire and formal women’s wear. For those looking for a last-minute gift for Mother’s Day or looking to spruce up their yard for the spring, there will be a variety of plants on sale. These are donated to the fundraiser by Nester’s Greenhouse in Andover. Monies raised by the event will go to church repairs and another cause. Funds raised by last year’s tea went to the church’s Raise the Roof campaign and to Newton’s Birth Haven. Raise the Roof is a four-year capital campaign to raise funds for repairs to the nearly 100-year-old church. The church is on the National Registry of Historical Places and The New Jersey Register of Historical Places. Repairs are needed to protect the building from deteriorating from things such as water damage. The Stanhope United Methodist Church is known to many for its beauty, but also for what it shares with the community. It is a place where many have had baptisms, weddings, and funerals. The church also has a food pantry; in addition, a number of groups, like scouts, meet within the building. The church also recently had its first coffeehouse night, the He-Brews Cafe, with music and a trivia contest. The church is a drop-off for Project Linus Blankets (which go to pediatric cancer patients) and holds a yearly Last Supper Presentation, the Thursday before Easter, which is open to the community. Monies going to the Raise the Roof campaign will allow the church to continue to reach out to the community as it has for many years.